I know I've been off the hook in this blog for a month already but anyhow ill post updates soon. For now I just want to invite all who are interested to learn about blogging, web marketing and working from home. 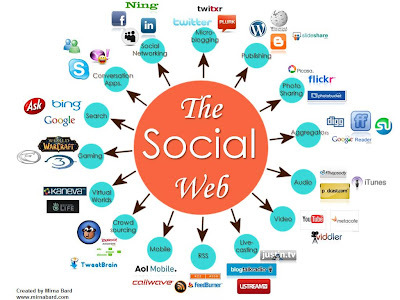 Social media has different web based technology tools which allow folks to connect quickly online to share reviews and information. Regardless what type of media you will be sharing online, with the click of a button you could already reach local or global audiences. As a matter of fact Youtube is the second largest search engine in the word and in the US, there are 149M active Facebook users, 70% log in once a day. So imagine the impact in using this on web marketing and promotion along with other popular and interactive social media platforms. 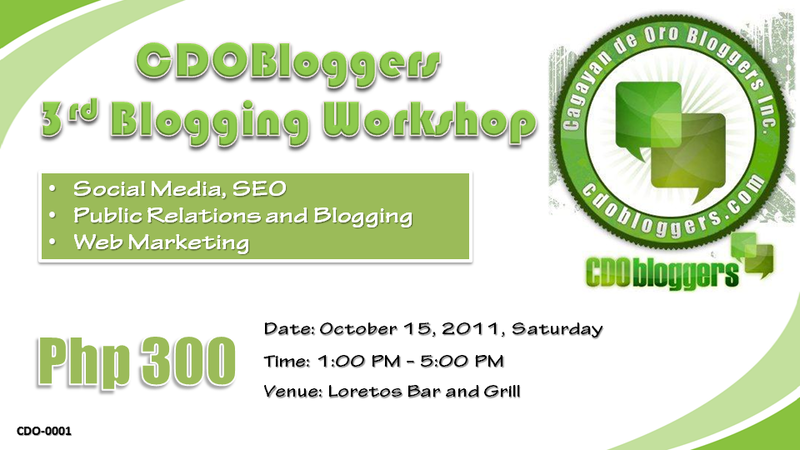 To know more on maximizing your social media promotion CDO Bloggers group will be having a 3rd Blogging Workshop on October 22 · 1:00PM - 5:00PM at Loreto's Grill and Restaurant. Buy tickets now because seats will be limited. Ticket is inclusive with not only the web marketing tips but also with 1 snack and certificate. And earlier today, I just received a packaged from Miss Aileen Apolo-De Jesus with Google freebies. This freebies will be swags at the workshop. You might be the next one wearing this hot items from Google so buy you're tickets now!